On arrival at the Suvarnabhumi International Airport, you will be met and taken to the coach for your transfer to Pattaya. Upon arrival, check in to the hotel. Later in the evening, we recommend you see the Alcazar Show (optional). Every night, dazzling performances by artists in glittering evening gowns thrill audiences, as they mime and dance against a back-drop of surround-sound and computerized lighting. After breakfast today the day is free for you to enjoy the bustling city of Pattaya. You can choose to opt to visit the famous botanical garden of Nong Nooch Village. Take the coach for your transfer to Bangkok. Upon arrival, check in to the hotel. 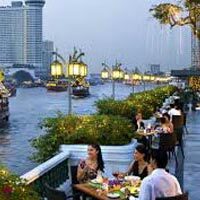 In the evening, you can enjoy this vibrant city on your own or relax on a cruise on the Chao Praya River (optional). 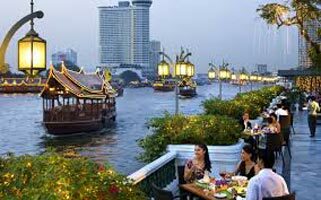 View the historical landmarks as you cruise along the Chao Phraya River. In the morning, get ready to explore Bangkok city. This tour takes you through the hustle and bustle of the city, while also giving you the opportunity to explore their myriad cultural attractions. Visit the Golden Buddha Temple, housing a five and a half tonne solid gold Buddha statue. The reclining gold-plated Buddha in Wat Pho, which is one of the largest and oldest Wats in Bangkok, is 49 m long and 12 m high, with beautifully inlaid mother of pearl soles. The evening is free to explore the innumerable shopping options the city has to offer.